Daniel Island doesn’t have physical reminders of the Antebellum South. There are no plantation mansions complete with slave quarters. But slavery and its legacy do play a role in the Daniel Island of yesterday and today. Historians Anne Blessing and Joseph McGill will present “Historic Preservation and 21st century Interpretations of Slavery” at 7 p.m., Tuesday, January 16 at Daniel Island’s Church of the Holy Cross, 299 Seven Farms Drive. Daniel Island has a unique opportunity, as a newer community, to initiate the local interpretation of slavery rather than reshape it. Blessing and McGill will discuss things like… What responsibilities do newer communities, and present-day citizens everywhere, have to the past? How ought communities like Daniel Island honor the past even as they grow? What are the challenges, the typical stumbling blocks, etc? Anne Hanahan Blessing graduated from the University of Virginia with a History and Art History major and an Architectural History minor. She received her Ph.D. in English from Tulane University and wrote her dissertation on slavery in the contemporary literary imagination. 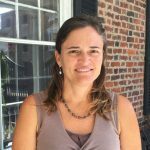 She has taught at Tulane University, the College of Charleston, and Ashley Hall School, and she serves on the boards of the Charleston Library Society and Historic Charleston Foundation. Her family home, a colonial single house, was recently included in the tour, “Beyond the Big House”, which focused specifically on the experiences of enslaved people in Charleston. Joseph McGill, Jr. is a history consultant for Magnolia Plantation in Charleston, SC and the founder of The Slave Dwelling Project, Inc. Sleeping in extant slave dwellings, this project has brought much needed attention to these often neglected structures that are vitally important to the American built environment. 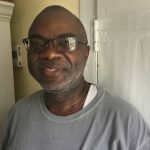 Prior to his current position, Mr. McGill was a field officer for the National Trust for Historic Preservation working to revitalize the Sweet Auburn commercial district in Atlanta, GA and to develop a management plan for Mississippi Delta National Heritage Area. He also served as Executive Director of the African American Museum located in Cedar Rapids, Iowa. Anne and Joe helped organize the “Beyond the Big House” tour. For more information check out their story on NPR. Joe is also the force behind the innovative “Slave Dwelling Project”. The January 16th meeting will give insight into both these ongoing programs as well as stir some thought provoking conversation about slavery’s historic role and implications today. Be there!